Currently, I’m only using Weber products and I’m strictly a charcoal guy for now. My main grill is the Weber 22.5″ One Touch Gold Kettle grill. That’s the “Blue Devil” pictured above. It’s a classic, and the Gold version includes the no rust aluminum removable ash catcher. Very handy. I just learned they now have a 26.75″ Gold. What is up with Weber and the odd sizes? Father’s Day is coming! My Smokey Joe Silver does indeed have the simple ash tray underneath, but it has served as a great starter for coals, or a warming chamber for the food. I’ve never actually grilled anything on it yet. It’s only a 14.5″ surface. It’s my lil’ warming buddy. 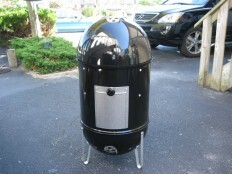 My smoker is the Weber Smokey Mountain Cooker. A water/bullet smoker. The original 18.5″ size. This baby holds a steady temp, with 2 18″ grates for plenty of room for food. 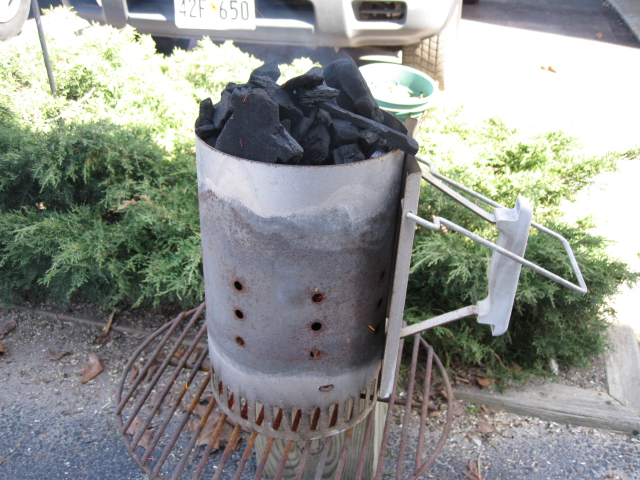 I have 2 Weber Chimneys I use to start the charcoals. I also keep a supply of cheap aluminum pans for liquids. I’m a big fan of the Weber Firestarters cubes. Way better than newspapers, and much less mess. 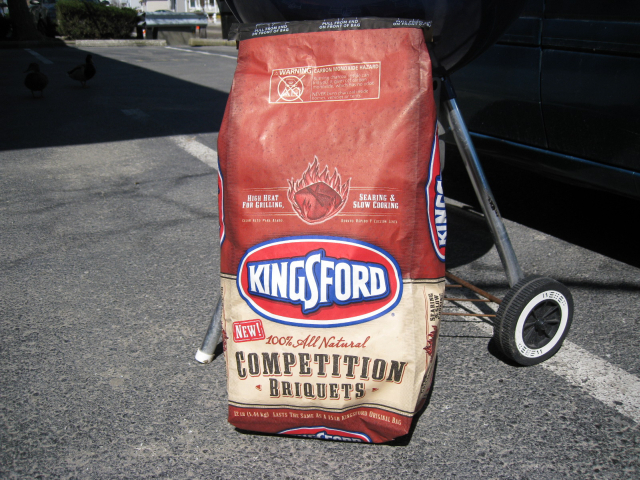 My charcoal of choice is now the new Kingsford Competition Briquets. I also use Lump Charcoal from either Cowboy, or Royal Oak. Oak is my favorite, followed by cherry, apple, and hickory. Mesquite can be harsh, I’ve not used it yet. Here’s the Family out for a Sunday Cook: Click on the pic for the full panorama shot. Well, that’s it. Those are my toys. 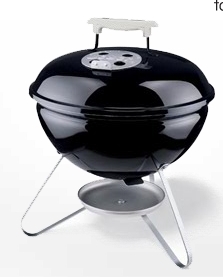 If you have Weber grills and want to talk about them, leave me a Comment below.